One of the founders of Brit Grit. Prolific short story writer and novella scribe. Blood and chuckles mixed with a real British flair. 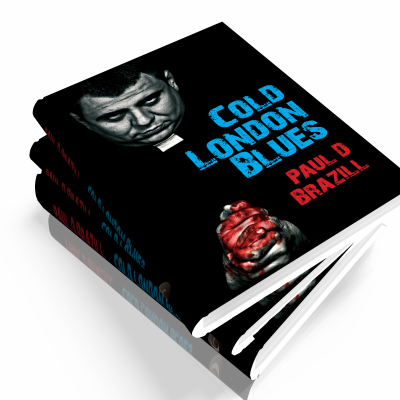 Paul D. Brazill is the author of Cold London Blues, The Last Laugh, Guns Of Brixton, and Kill Me Quick! He was born in England and lives in Poland. He is an International Thriller Writers Inc member whose writing has been translated into Italian, German and Slovene. He has had writing published in various magazines and anthologies, including The Mammoth Books of Best British Crime. He has even edited a few anthologies, including the best-selling True Brit Grit. A killer priest is on the rampage across London and an egotistical Hollywood action movie star is out for revenge when is his precious comic book collection is stolen. Meanwhile, gangster Marty Cookâ€™s dreams of going legit swiftly turn pear shaped when one of his bouncers accidentally kills one of his salsa clubâ€™s regular customers. Razor sharp wisecracks, gaudy characters and even gaudier situations abound in Cold London Blues, a violent and pitch-black Brit Grit comedy of errors. When London gangster Mad Tony Cook gives aging thugs Big Jim and Kenny Rogan the simple task of collecting a briefcase from northern courier Half- Pint Harry he doesnâ€™t suspect that the courier will end up dead in his lock-up or that Kenny and Big Jim will then dress up in drag to rob a jeweler's shop and lose the coveted briefcase. A fast-moving, wild and hilarious search for the missing briefcase quickly ensues, with fatal consequences. 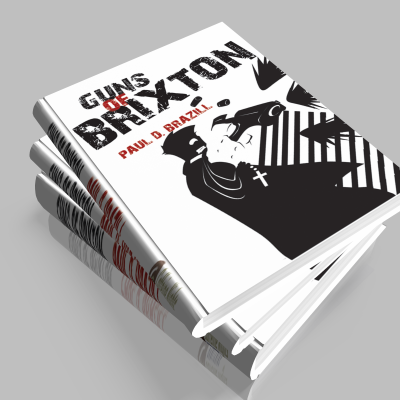 Guns Of Brixton is a foul-mouthed and violently comic crime caper that is choc-full of gaudy characters and dialogue sharp enough to shave with.